The cheeses that tickle the palette best are the ones that have ripened to perfection. If you’re a hard or semi-hard cheese manufacturer who uses mold and yeast treatments in their cheese production, this can be quite a challenge. Conventional coating solutions can be labor intensive or may not result in the desired homogeneous quality or the clean label that is preferred by consumers. But there’s a game changing, innovative alternative. Pack-Age® is a high-tech packaging solution for naturally ripening cheese. This remarkable solution envelops the cheese with a moisture permeable, breathable membrane that allows the cheese to ripen naturally, but without the risk of mold and yeast growth. The result is a higher quality and value of the cheese because of the homogeneous drying. What’s more, because Pack-Age® eliminates the crust removal process, less cheese is lost, less production time is needed and a higher yield is achieved with the use of less material. Ticking all the boxes in sustainability benefits. Pack-Age® - Get more from your cheese, naturally. Prevents mold and yeast growth naturally. Improve yield with less moisture loss, no cutting loss, and less labor. Reduce carbon footprint by up to 10%. Improve quality by more consistent drying through cross-section and dry rind. 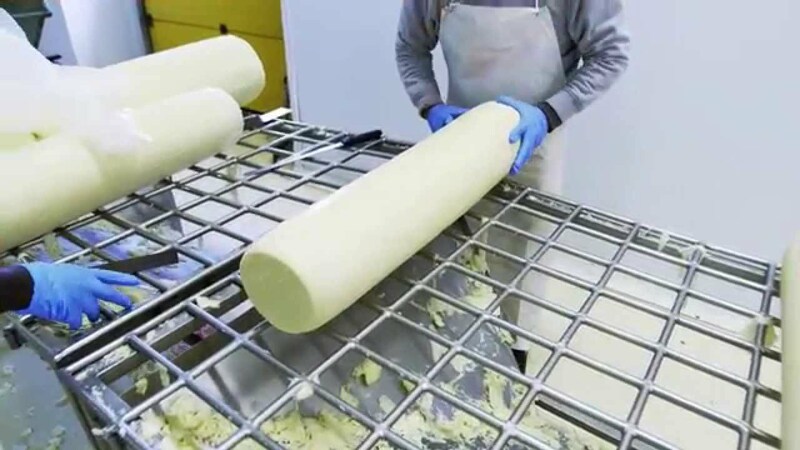 A cheese producer in Italy, Cabre, shows why he is using Pack-Age® - DSM's high-tech packaging solution for naturally ripening cheese without the risk of mold and yeast growth.